Everyone wants their nails to grow fast and strong. They add beauty to your hands. Plus, healthy nail growth reflects the state of your overall health. Nails are made of the same protein, called keratin, as that of hair. Fingernails grow faster than toenails, although growth is still very slow. On average, fingernails grow about one-tenth of an inch each month.But sometimes they grow even slower. Each of our nails is made up of six parts. The nail fold is the ridge of skin around the nail. The part we can see and normally call a fingernail (or toenail) is called the nail plate. Beneath the nail plate is the nail bed, which nourishes the nail. That half-moon-shaped area at the base of your nail is called the lunula, and it's part of the nail matrix. The nail matrix is at the base of each nail, although you can't see it -- it's below the cuticle, a fold of skin made of dead cells that keeps bacteria from getting in. The matrix makes the cells needed to grow your nails. Several factors contribute to slow nail growth. These include the aging process, hormonal changes in the body, health problems, chemotherapy, medications and nutritional deficiencies. On the other hand, faster nail growth can be seen among children prior to puberty and pregnant women. Having shining and beautifully shaped nails at the tip of the fingers enhances the overall beauty of your hands and almost all of us strive to have healthy and long nails which can be styled in any way we want. But the beauty of the hands is often marred by weak and brittle nails that becomes chipped and cracked easily. 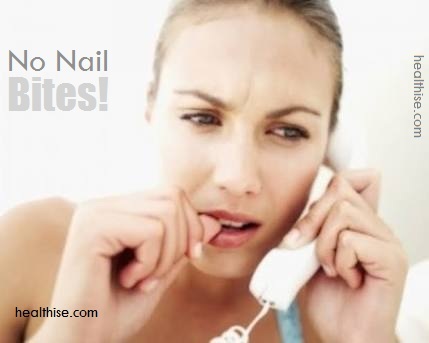 Brittle nails is a common problem that can affect both men and women and some of the common causes of weak and brittle nails are aging, excessive use of nail enamels and nail polish removers, overexposure to water. Don’t apply acetone based nail paints. File your nails. Smoothing the rough edges of your nails using a file and keeping it well-rounded prevents chipping a peeling of the nails. But it is necessary to file only in one direction, because, filing back and forth can weaken the nails. Avoid polish removers that contain formaldehyde. They’re terribly drying to nails. Use acetate-based removers instead. Say no to synthetic nails. Artificial nails are glued on top of your real ones, and the gap in-between creates a breeding ground for fungus. Even worse, this is an area where you can develop a painful bacterial infection. Fake nails are the most common cause of nail fungus in women. Wash your hands and clean nails after kneading or mixing edible stuffs with hands. If your feet are sweaty when you get home, change into a fresh pair of socks right away. And if you have an office job, take along a pair of clean socks’especially on hot summer days’so you can change before you start work. Use mild antifungal powder that absorbs moisture and prevents fungus. Use an inexpensive four-sided nail buffer to buff your nails. Buffing increases blood supply to the nail matrix, the tissues present underneath the nails that produce new fingernails. Buffing also smoothes the uneven edges and adds a natural shine without the use of chemical-laden polishes. Stop using nail colors. Extensive usage of nail colors damages nails to the fragility. There are numerous diseases that can also cause brittle nails like fungal infections, psoriasis, eczema, anemia and lichen planus. Therefore, it is vital to take special care of nails just like we pamper our skin with the effective glowing skin home remedies. These home remedies, in combination with a few healthy lifestyle changes, can provide you naturally strong and healthy nails. To promote growth, it is essential to keep your nails well moisturized. Olive oil is the best when it comes to nail care. It penetrates deep into the skin and nails and thus helps nourish your nails. Plus, it contains vitamin E which improves circulation blood circulation, helps repair damaged nails and promotes nail strength and growth. Before going to bed, apply warm olive oil to your nails and cuticles and massage gently for 5 minutes. Wear cotton gloves overnight. Do this once daily. You can also soak your nails in warm olive oil for 15 to 30 minutes once daily to promote nail growth. For whiter and clearer nails, lemon juice or already squeezed lemon is perfect. You can also rub a slice of lemon on your nails for 5 minutes, then rinse them with warm water. Pat dry and apply a moisturizer. Do this once daily. Avoid rubbing lemon on your nails if you have any cuts or hangnails, as it may sting. Petroleum jelly also helps in gaining shiny nails. Just rub Vaseline or any other petroleum jelly on your nails after taking a bath or before going to bath, for nourishing them. Coconut oil works well for healthy nail growth. It contains important nutrients to keep your nails moisturized and strong. It also strengthens your cuticles, which play a key role in nail growth. Plus, it helps cure hangnails, cuticle infections and fungal nails. Additionally, don’t clip your cuticles. When you do this, you’re removing your nail’s protective barrier. Fungi and bacteria find it easier to get a grip around the base of the nail after the cuticle is removed. Massage your nails and hands with warm extra-virgin coconut oil daily at night, before going to bed. Massage in circular motions to improve blood circulation. 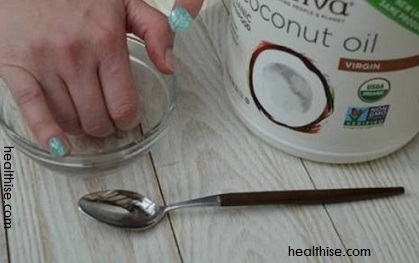 You can also prepare a nail soak. Mix 1/4 cup of organic coconut oil, 1/4 cup of honey and 4 drops of rosemary essential oil. Warm the solution in the microwave for 20 seconds. Soak your nails in it for 15 minutes. Follow this remedy one or two times a week. Butter sounds odd, but it is the best remedy. Use melted butter for getting natural shiny nails. Lukewarm baby oil will also work great for your nails. What better way to strengthen weak and brittle toenails and finger nails that with a soothing a relaxing soak made of sea salt and warm water? This healing soak not only softens the nail cuticles and adds a brilliant shine to the nails but is also the ideal solution to the question of how to get rid of dead skin cells from feet. The minerals present in sea salt have healing and rejuvenating properties which make it a common addition to baths. Take some warm water in a big container in which you can dip your toenails comfortably. 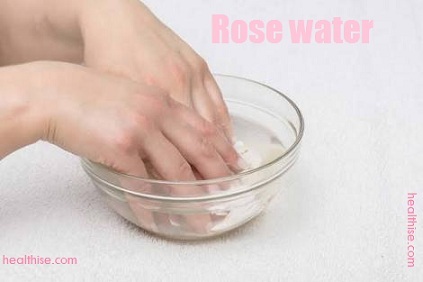 Avocado & rosewater are two great things that can be applied to get pink nails at home. This is a useful and inexpensive brittle nails treatment that is readily available in the pantry. Apple cider vinegar is a widely used ingredient in DIY skin and hair care remedies, and it is undoubtedly the best natural way to treat dandruff and scalp itching. Organic apple cider vinegar is loaded with minerals like iron, calcium, potassium and magnesium along with vitamins – all of which are essential for developing stronger and thicker nails. Either a thin slice of cucumber or juice of cucumber both works wonderfully for your nails. The power antiseptic properties of tea tree oil makes it a popular natural medicine for a wide range of skin problems and the use of tea tree oil for ringworm in humans is well known. 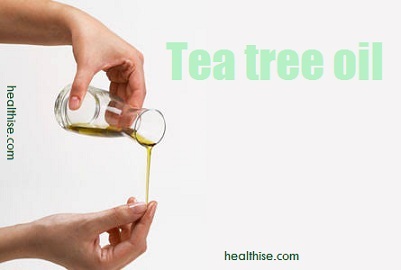 Tea tree oil also helps in treating brittle nails caused by fungal infections and it is one of the unsurpassed nail fungus home remedies that provide prompt results. It also helps in treating discolored nails. But tea tree oil should always be applied in diluted form, mixed with water or some other oil because it is strong in nature. Applying cuticle oil can also help in getting shiny nails. For nail care dip all your fingernails and toenails into lukewarm mustard oil as for 8-10 minutes. Then rub each of them slowly and gradually to ensure that circulation of blood is as usual. This really should be executed each day to help make all of your fingernails and toenails fit and strong. Gloves, ladies, gloves — get your mind to use! Whenever you're cleaning with harsh chemicals, gardening, or doing anything that involves soaking or dirtying your hands, Dr. Prystowsky insists that wear rubber, vinyl, nitrile or plastic gloves, preferably with a cotton liner. Cleaning dishes in hot, soapy water sans gloves can weaken the nails, while getting them caked with dirt from gardening will require a level of cleaning that you want to avoid wherever possible. Similarly, now that the weather is getting chilly, remember to wear a pair of mittens or gloves so that the cold air and wind don't undo the hard work you did moisturizing, leaving you with dry, flaky, scaly skin. Your fingernails are made of a protein called keratin, so just as with the clarity of your skin or the shine of your hair, you can improve your nails by tweaking your diet. Falcone advises adding vitamins and supplements like biotin, Vitamin E, and fish oil to your daily regimen, while Dr. Palmer recommends protein-rich foods like beans, fish, and nuts. The one thing every expert agrees on: Once you hit on the combination that works for you, you'll be rewarded with stronger, clearer nails. Do not use polishes containing toxic chemicals like dibutyl phthalate, formaldehyde, and toluene, as these toxins can contribute to brittleness, splitting, and cracking. 6 To 9 Million Americans Has Toenail Fungus!  Do Athletes Suffer More From Nail Fungus? I would only give super free tip: Avoid biting your nails and chewing on the skin around them. And it will help you a lot. The condition of your nails reflects your general state of health, so looking after yourself by consuming a varied, vegetable-based diet, drinking lots of water and being physically active is where nail care begins. (1) Do Keep your nails clean, and moisturize the surrounding skin (cuticle) with a small amount of oil (almond, olive, avocado, etc) on a regular basis. (2) Protect your nails from damage by wearing gloves for activities such as gardening and housecleaning, or any time you are handling chemicals. (3) Use a buffer, rather than nail polish, if you want your nails to shine. No more fake nails experience says so. Yes, they can harm your nails. Be careful of contracting a fungus…VERY HARD to get rid of.